We may never know what caused the Tardis to explode (although it may have been the Silence), but at least we got this amazing image to show for it! And now it's available in the shape of a throw blanket, just perfect to have close when cooped up on the couch watching a movie to keep you warm and toasty. It's very soft to the touch and the vibrant colors make it look striking on a couch. A lovely gift for any Doctor Who fan. Need help with Doctor Who Exploding Tardis Throw Blanket ? 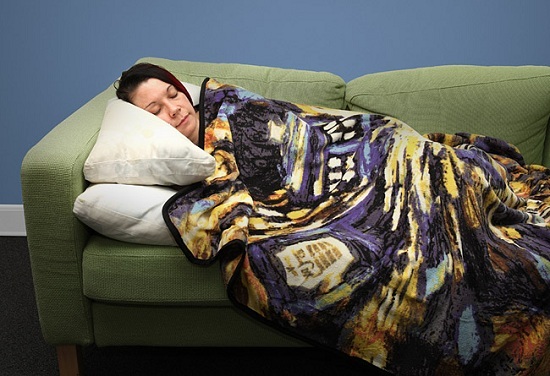 Email us if you need any additional info on Doctor Who Exploding Tardis Throw Blanket - or any help with choosing a gift.